Diagrams are a great way to convey information quickly. And they liven up a web site. I still remember this post because of the venn diagram used to convey the message. I don’t think I would have remembered it nearly as well if he had just talked about it. Today I’m going to show you how you can create a venn diagram, but the tool can also create org charts, wireframes, flow charts, floor plans or most any type of diagram. The tool I use is called Gliffy. You don’t even need an account to start. To save your diagram though, you will need to create a free account. This is the diagram we’re going to create. The great thing about Gliffy is how easy it is to use. You pick the item you want to use, drag it to where it belongs, resize it or adjust settings, and you’re done. Step one is to choose the diagram type. 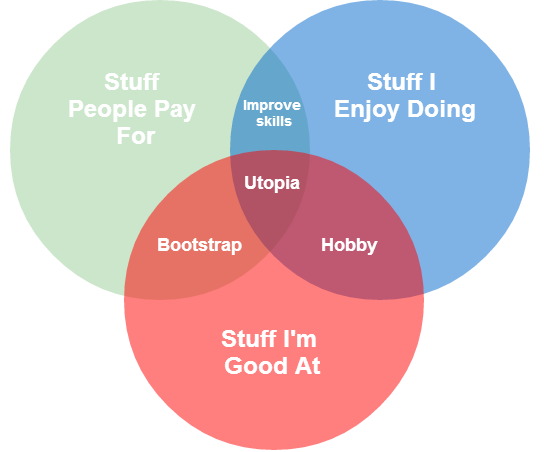 In this case, choose Venn Diagram. 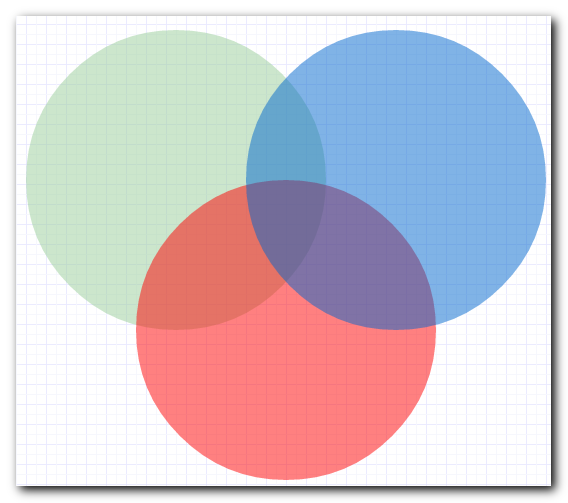 Next, drag the three circles you want to use for the diagram. I opted for the flat versions. As you drag the items around, lines will appear to help you align the circles with the grid and the other circle. Your diagram should now look like the above image. Now add the text by clicking the A icon in the toolbar, or using the Ctrl+2 shortcut, then clicking on the diagram where you want the text to appear. Type in whatever you want to appear inside the text box. If you find you’re only able to select the circle instead of the text box, right-click on the circle and choose Send to back. This will move the circle to the background and let you select the text box. To change the font size or color, click on the pointer icon (or hit the Esc key) to show the text edit properties. Once you’ve completed the diagram, go to File ⇒ Export as PNG, then save the diagram. 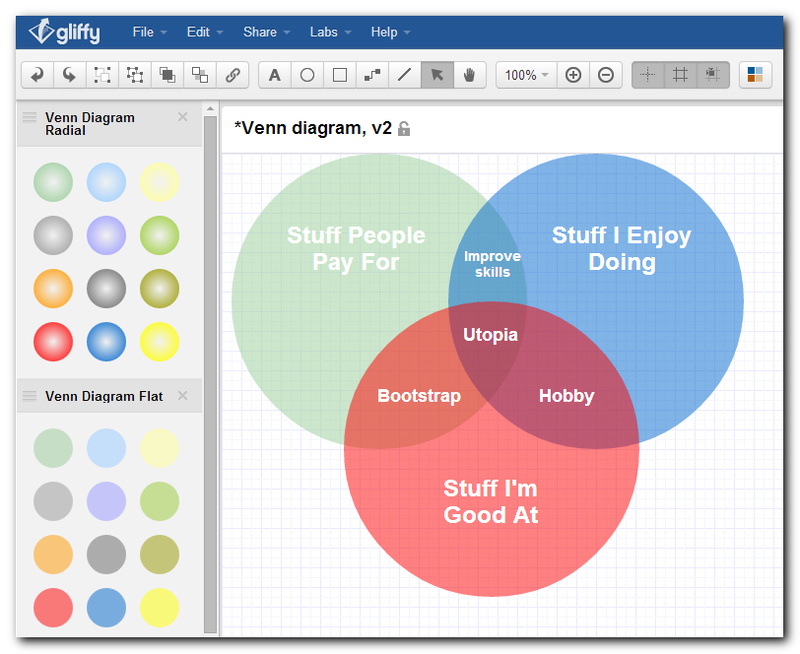 With a free Gliffy account you have a limit of 2MB or 5 diagrams, but that’s been enough for my needs. I don’t need to save the diagrams after exporting them. I create one, export it to an image and delete the original in Gliffy. Otherwise you can get a pro account for a few dollars a month.